Thanks to its unique tread construction, the Hi-Trac can justifiably be called a rain tire. A modern design includes the various V-shaped angled grooves, which in combination with the two sturdy circum-ferential grooves ensure fast water disposal. The Hi-Trac's tread compound contains High Silica Solution IV, offering optimal braking capacity and maximum grip on both wet and winding roads. The Hi-Trac is gifted with a renowned and successful Vredestein concept: the Off Centre Directional Profile. Both the amount of rubber and the Constant Air Ratio are exactly the same on both sides of the tire. The Off Centre Directional Profile and the rounded tips of the central tread blocks ensure that the Hi-Trac is a remarkably quiet tire. 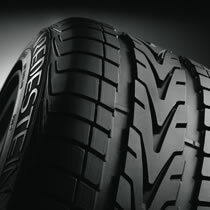 Thanks to the exceptional contribution of the Italian design house Giugiaro Design, Vredestein has achieved an unique position in the top segment of the tire industry. 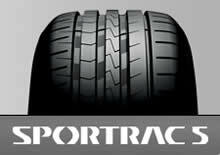 The designers from Giugiaro and Vredestein have created the ideal combination of aesthetics and safety in the Ultrac and Sportrac 2 tires. The Sportrac 2 is a textbook example of tire aesthetics. It also benefits from various technical breakthroughs, such as an improved tread compound and a stronger sidewall. The new sidewall construction offers a very responsive steering reaction, a high handling ratio and an overall sporty performance. This HTS (Handling Tuned Sidewall) principle also means there is minimal distortion of the sidewall and maximum resis-tance against sideways forces. The responsive steering reaction, which the HTS principle provides, also ensures a car is easy to control in critical situations. The Sportrac 3 is based on the strong points of the Sportrac 2, but optimised even further, particularly in the area of water dispersion and braking power. The new profile - developed by Giugiaro Design - gives sports cars an enhanced appearance. 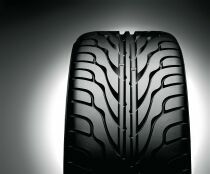 The robust, wide shoulders and 3D -shaped tread blocks in het centre of the tread give outstanding performance on bends. The rounded footprint, with its even surface pressure, helps reduce braking distance and improve traction, handling characteristics and water dispersion. The High Silica Solution V Tread compound has been improved to give optimum braking power and low rolling resistance. Sportrac 5: Quiet, comfortable and sporty! 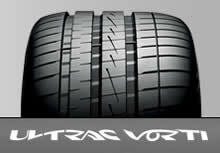 Created by Vredestein in partnership with Giugiaro Design, the Ultrac is the ultimate tire for the high end of the market. With its rounded shapes, flowing contour and inclined corners, the Ultrac is superbly designed. It is also blessed with many high-tech features. Take, for example, the Ultimate Handling Construction (UHC). This construction gives the Ultrac a high handling ratio, resulting in exceptional handling on wet and dry roads. Again, look at the Centre Shift System (CSS) found in the middle of the tire; by shifting the right and left tread parts in relation to the centre section, noise production is minimised. And finally, the use of Full Silica Silan Solution in the tread compound means the Ultrac performs superbly on wet road surfaces as well as being safe in all other weather conditions. 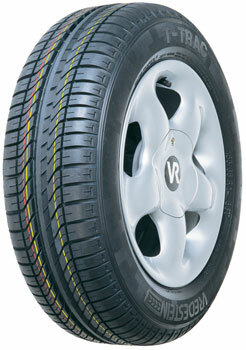 Vredestein is introducing a new tyre for the premium segment: the Ultrac Cento. In accordance with tradition, Vredestein has given the safety aspects of the tire top priority, combined with ecologically sound characteristics. The Ultrac Cento is a stylish and quiet lightweight summer tire which guarantees comfort and exceptional performance on both dry and wet roads. The name Cento is a reference to the 100th anniversary of the Vredestein brand’s existence. 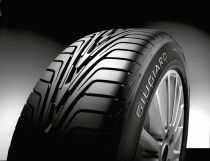 The profile and sidewall of the tire have once again been developed by Italian design agency Giugiaro Design, giving the tire even greater appeal. Design Minimalist, stylish profile developed by Giugiaro Design Hatching in the two central longitudinal grooves accentuates the streamlined design Directional profile with four longitudinal grooves Fast and even water dispersal, minimising the risk of aquaplaning Safety High Silica tread compound Good braking characteristics Outstanding grip on wet roads Completely PCA-free and environmentally friendly Also available in a RunFlat version Complies with the ETRTO standards No danger when pressure is lost Temporary function as a spare tyre Comfort Optimized tyre construction with a more shallow shoulder profile Very comfortable and quiet to drive Long life Low rolling resistance SW designation on the sidewall of the tyre Complies with the European standards for noise and wet grip from 2012. The Vredestein Ultrac Sessanta is the newest ace in the Ultra High Performance (UHP) segment. 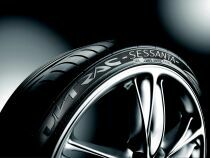 The Sessanta is based on the strong points of the Ultrac series and has been optimised even further to give very good steering and handling characteristics. Giugiaro Design has given the Ultrac Sessanta an innovative design, with a line pattern that clearly shows that performance comes first. The name Sessanta refers to the sixty years of Vredestein's existence in Enschede. In tribute to Vredestein's unique collaborative partnership with Giugiaro Design, "sixty" will be written in Italian: sessanta. Parametric design - from the drawing board to the shelf The Ultrac Sessanta is designed parametrically. This means that the tread construction, shape and contours are optimised for every size using mathematical formulae based on design parameters. Each size of the Ultrac Sessanta therefore offers maximum design quality.